It's here. Sorry to keep you waiting. Badger is an iOS tweak which allows users to view and interact with their notifications directly from their homescreen. 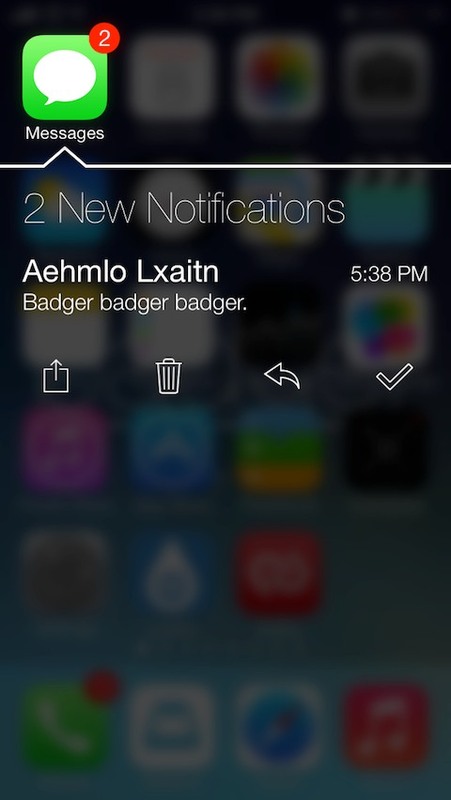 Using the activation method of their choice, users can bring up the Badger window, which shows unread notifications and allows users to delete them, open them, and interact with them (including Quick Reply and related features for messages). Badger 7 is designed to feel even more at home than the original Badger did, and, as such, has adopted the iOS 7 look and feel in a very eye-catching way. It's compatible with just about every tweak out there, and features a plugin system so that developers can supply it with their own data. It also has integration with some of the most popular tweaks, with support for others planned - you'll like what we've got coming up. 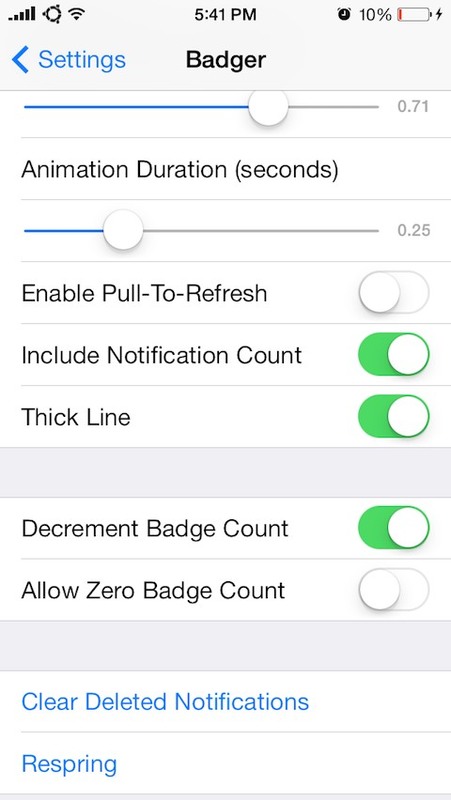 This package also contains an Activator action, accessible from the home screen, for showing a consolidated view of all unread notifications. 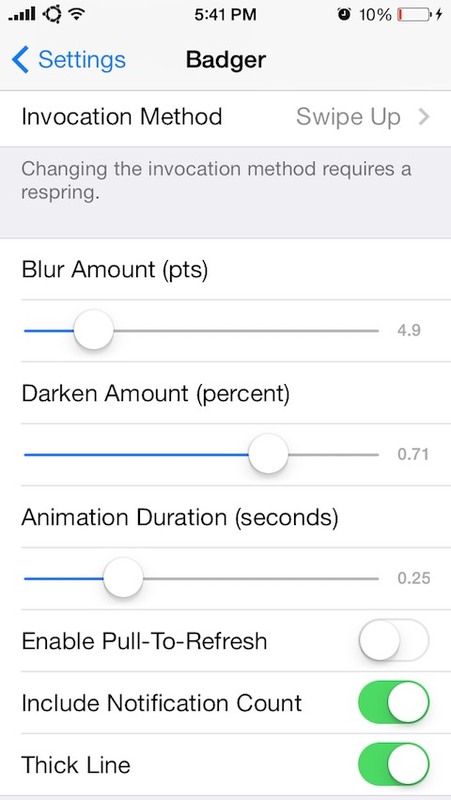 Badger 7 for iOS 7 is the original Badger, re-envisioned - and it is /so/ much better. You'll believe it when you see it.